Lord, I give you my womb. I’ve been repeating this meditation over and over again for the past 11 days. I had to in order to let go of all the control I thought I had over the process. 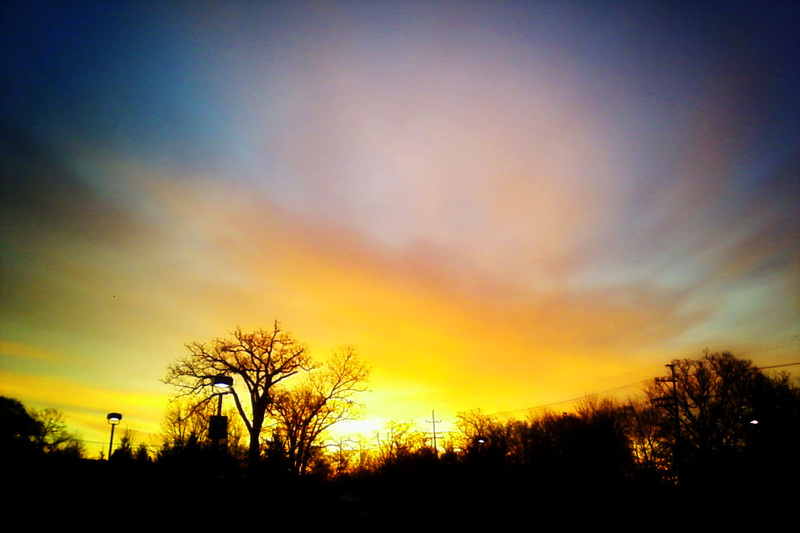 On 11-11-11 Jeff and I woke up before the sun, and headed east to Highland Park, IL for our very last fertility treatment. Along the way we watched the sun rise, and we couldn’t help but feel hopeful. It takes a village to raise a child, and this particular weekend I was convinced it takes a village to conceive a child too. Sean spent the night at Grammy & Grampy’s, and then the next night at Aunt Kari’s so that I could rest. And we had tons of people praying for us. After the procedure, our doctor came to see us. He said everything went well and now all we do is wait and pray. He understood that it doesn’t take a village to conceive a child. It takes God. We thanked him nonetheless for his care and love for us over the years, and he got teary eyed. This was the last hurrah. Over the course of 8 years I have been poked and prodded all in the name of life. It’s been a journey. I’ve learned a lot, but mostly I’ve learned about letting go. God’s will be done. And His will is going to be infinitely better than anything I can control. Heck, I have a hard time roasting a chicken for dinner sometimes. Imagine if I was in complete control of creating a human. Yikes! This morning I dropped Sean off at preschool, then headed to the fertility center for my blood test. The nurse told me she would have the results around 3pm. Next I went to church where conveniently they were having Eucharistic Adoration today (nothing is a coincidence!). I spent an hour in prayer and conversation with Jesus. I cried when I first knelt down. I needed to get that out – let go of the control -- and hand it over so that Jesus and the angels could carry me today. At 2:15 the nurse called and told me it was bad news. The test was negative. I’m not pregnant. Surprisingly I was able to finish talking to her without tears breaking through. But as soon as I hung up the phone, they burst forth. I’m not pregnant. I’m never going to give birth again. The last hurrah is over. And that, my friends, is the answer. Our next journey is domestic adoption. This path to building our family has been in our hearts since the beginning. I’m going to continue to pray, but pretty confident this is where God is leading us. Speaking of prayers, for the past eight years and specifically the past 11 days we’ve had the very best prayer warriors praying for us. I couldn’t help but be reminded this week of the scripture where the men lowered their sick friend through the ceiling in order to see Jesus. The man was healed because of the faith of his friends. Thank you, friends and family for all your love and prayers. We are certain we couldn’t have made it through this journey without you & your faith. Lord, I give you my womb. Your will be done. The sun will rise again tomorrow, and we’re hopeful.